Home » Lot 2 Block 200 Galleon Bay Estates NEW LISTING! Lot 2 Block 200 Galleon Bay Estates NEW LISTING! This very unique and strategically located canal-front homesite overlooks Brigantine Bay and offers a clear view of Treasure Cay Marina and the wide harbour area. 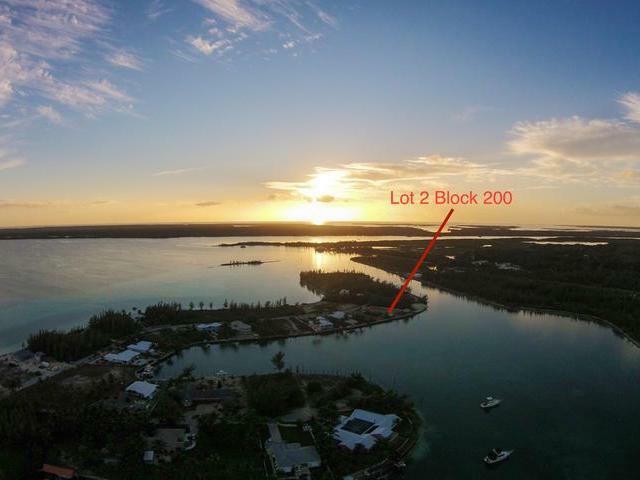 This private, completely walled-in generous sized lot features an impressive 142 feet of bulkheaded sea-wall with deep water dockage and quick and easy access to the Sea of Abaco and surrounding cays. The property measurements along Galleon Bay Road is 80 feet and boasts 184 feet of depth on the west boundary and 154 feet on the east. Also included with the property and dock are a well constructed boat house and a large garage. This is the perfect opportunity for someone with a yacht that requires more draft than other canal lots in Treasure Cay allow for. Electricity and water are already connected, and all other utilities are readily available at the property roadside boundary. Lot 21 across the street is also on the market and would allow you to have a sea to sea estate with amazing Sea of Abaco vistas also! This kind of property with such unique features is rarely available for sale and will not last at this modest listing price!